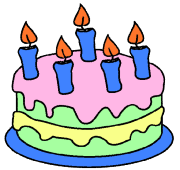 - Our 35th Anniversary - was celebrated (with CAKE) at the October General Meeting. 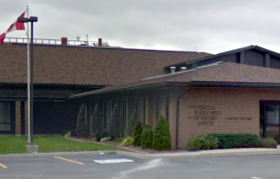 • Durham Region Branch Meetings [Location/Time] — [Future Speakers] [Past Speakers] [Members Only]- Next Meeting - Tuesday - April 2, at 7:30 p.m.
Our usual general meeting location has changed, to Northminster United Church (676 Simcoe St. N., Oshawa, ON L1G 4V7 (nw corner of Simcoe Street North and Rossland Road West). Research experiences - On The Road Again. Sher Leetooze has been researching her family for just over 40 years, but still has a long way to go. In the process of doing research, Sher has gone right to the source in Great Britain and found some GREAT stuff! Some of these things she will share with you on April 2nd. Our meetings are often streamed on YouTube starting at 7:30. Our channel for streaming is http://www.youtube.com/ channel/UCiHiKL0pfzXzG- G9YARS8Sg/live . The DNA SIG (DNA Special Interest Group) within our branch continues meeting monthly, on the 3rd. Wednesday of each month. Next mtg. - April 17th, in our new office at Northminster United Church. Bob Dawes is a past chair of Quinte Branch and currently responsible for database and computer maintenance. 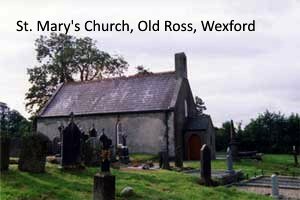 Bob and his wife, Barbara, have traveled extensively throughout North America and the United Kingdom in search of their ancestors and enjoy using technology to enhance their research. 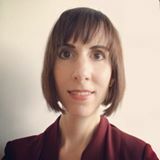 Our Feb Meeting featured Jennifer Weymark from the Oshawa Museum. She took us on a virtual tour of the museum, with emphasis on records of interest to genealogists. Here is a slightly editted video of the meeting [https://youtu.be/of6aJJ1mN88 ], which also includes the business portion of the meeting, and a mini-talk, by Stephen Wood - "Using Signatures in Old Documents", to zero in on ancestors. Durham Region Branch will be starting 2019 off in our newly renovated office and library! 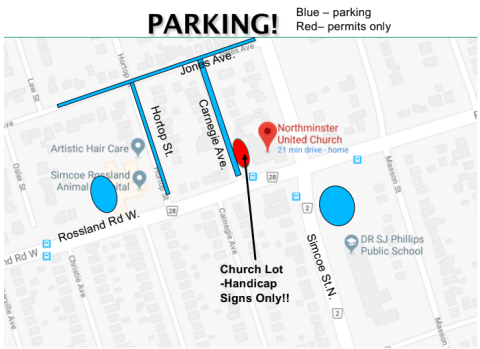 We’re not totally unpacked yet, but on Tuesday January 8th at 7:30 pm, for the very first time, we will be holding our meeting in our new location on the 3rd floor of Northminster United Church, Oshawa! 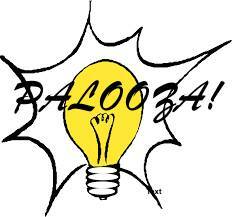 Our topic will be “Busting Down Brick Walls” through the brainstorming and crowd sourcing of our members. An editted video of the January 08, 2019 meeting, with a tour of our new office, is at: https://youtu.be/n9HMgaylTlI . 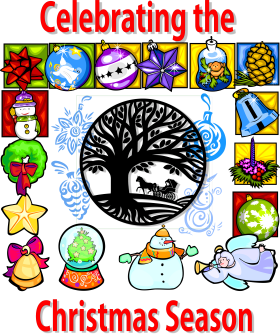 At this meeting we celebrated the season together, along with any genealogical breakthroughs, special stories, favourite websites, interesting documents or other artifacts brought to this gathering. 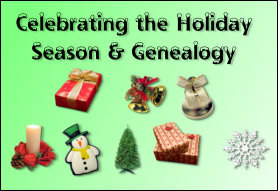 Members were invited share genealogy 'ah-ha's and edible holiday treats. The slightly editted video for our December meeting is available here [https://youtu.be/TCN6lpC0hw8]. Private Arthur Manuel was a self-described “common soldier” in the First World War who did something uncommon: he set down his memories for posterity. But the Royal Newfoundland Regiment member’s story would have been lost forever if his grandson, David Manuel, had not discovered the war veteran’s efforts. And David Manuel went a step further: he mentioned it to Whitby writer Bryan Davies when the two Durham men met by chance at Charley Ronick’s pub. 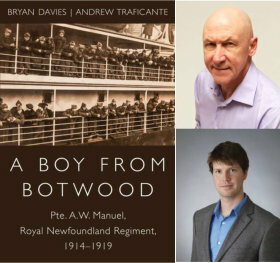 The result is A Boy From Botwood, a book by Davies and Andrew Traficante. 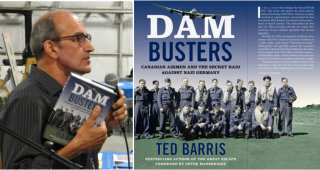 Dam Busters: Canadian Airmen and the Secret Raid against Nazi Germany - Ted Barris. Based on personal accounts, flight logs, squadron war diaries, maps, and photographs of the Canadians involved, Dam Busters recounts the dramatic story of these young Commonwealth bomber crews tasked with the high-risk operation against an enemy prepared to defend the Fatherland to the death. It was a night that changed the Second World War. The secret raid against the hydro-electric dams of Germany’s Ruhr River took years to plan, involved an untried bomb, and included the best aircrews Allied Bomber Command could muster – many of them Canadian. The raid marked the first time the Allies tactically took the war inside Nazi Germany. It was a mission that became legendary. Dam Busters: Part 1 of 2 - Canadian Airmen and the Secret Raid against Nazi Germany - Ted Barris. Dam Busters Part 2 of 2 - Canadian Airmen and the Secret Raid against Nazi Germany - Ted Barris. Cheryl Levy (PLCGS)- Using Clues to build a Blended Family - Census records provide many clues to further our research. Each column contains valuable information. This is especially true when endeavouring to identify all of the members listed in a specific household on census night. Do all of the members actually belong to the same family? Are the recorded relationships accurate? Can we trust the surnames given for each person? Who are the additional people listed? Using an interesting case study, we will learn to uncover the details needed for seeking additional documents to confirm their identities. Then follow the steps that were required to build these blended families by placing the household members in the correct family groups. 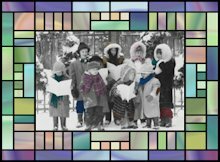 By gleaning census clues, we begin to understand the story behind how they came to all be in the same households together on the census records. Mini-Talk - Conference 2018 highlights, from members who attended. Life on the farm: your ancestor’s place in Ontario agriculture - Jane MacNamara. 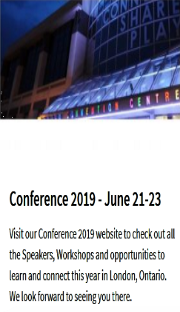 Our usual general meeting location has changed, from the Main Branch of the Oshawa Library, to the Bobby Orr Room of the Oshawa Civic Centre (199 Thornton Road South). 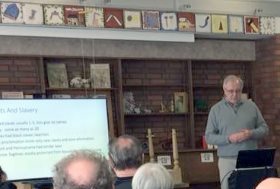 Dave Clements spoke on the topic: "The Barber, The Bishop and Lucy" - Uncovering the story of the African Canadian Smith family of Bowmanville in mid 19th century. 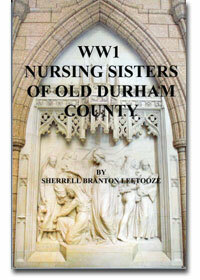 "At the Clarington Museums, we often receive requests for information on family histories. A request from Michigan has led to the uncovering of the Smith family story. Nehemiah Smith was born in the Niagara district. From about 1842, he lived and moved between Whitby, Colborne and Bowmanville. A barber by trade, he moved to Michigan in the mid 1860's. Dave will tell us the story of this local African Canadian barber and his descendants." 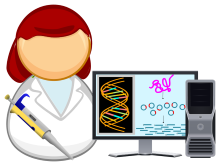 Nancy discussed why you might want to test DNA, what tests are available and the factors that dictate which testing company to use. She also gave pointers on how to maximize results and find cousins, followedby a Q&A. Short Presentation -by Karen Church -How DNA increased my family. See how Karen made an surprising connection about a "stray" who was informally adopted by her family. 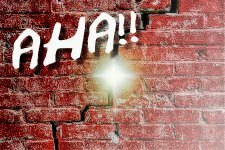 Overcoming Brick Walls - strategies and anecdotes for overcoming research dead-ends. A slightly editted video of our December meeting is available on YouTube - https://youtu.be/dYJrDnV8qO4. 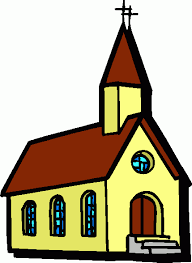 The Min-talk - Janice Carter brought us up to date on the branch's Places of Worship Project. It's our anniversary! We're 35 years young, proud of it! 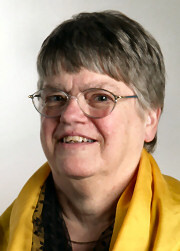 Our speaker, the ever popular Ruth Burkholder, came with a brand new lecture on the "Prairie Provinces Land Records". Archived here. 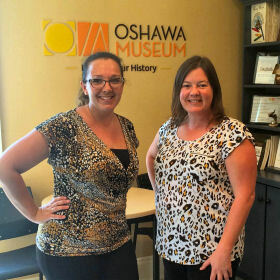 "Canada 150, An Oshawa Perspective" (Lisa Terech, left, of the Oshawa Museums): - This year celebrates an important milestone in the history of Canada, marking 150 years since the British North America Act of 1867 came into effect, resulting in the creation of Canada. Our confederation was many years in the making, and our own Oshawa residents played important roles in the development and growth of our country. Lisa's talk is available in the branch members only area (on YouTube). Mini-Talk: - by Stephen Wood, about using the new indexes at the General Registry Office of the U.K.
Trina Astor-Stewart, Executive Director for Whitby Historical Society at Lynde House Museum in Whitby, spoke about the importance of Lynde House from an historical viewpoint and the genealogical relationships of the Lynde family in this area as representational of some early settlers to Southern Ontario. One of the most loved homes in Durham Region, Lynde House has been moved twice in order to preserve it and its story for future generations. Thousands of people lined the streets for each of its moves, most recently in 2015 from Cullen Gardens. 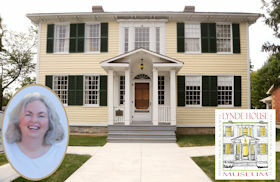 The stories surrounding Lynde House during the war of 1812 provide a romantic portrayal of the times and now that it is being operated as a museum housing thousands of artifacts, the tales this house can tell grow daily. Come and discover more and find out why this house and the lives of those who lived here make an impact on us even today. Mini-talk: Deborah Wilbur - "The Princess Mary 1914 Christmas Gift" to WWI soldiers, with family artifacts. 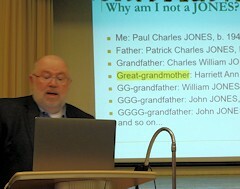 Paul Jones - "I am not a Jones, but what am I?" Paul related his saga about researching two generations of 'father unknowns' and his true surname, involving 25 years of research, and including family oral history (often proven wrong), along with some usual and not so usual documents. Finally, a puzzling Y-DNA test, and an autosomal DNA test yielded solutions. Paul had agreed to archive his talk (for a limited time), in the branch's 'members only' area. Mini-talk: Methods for backing up records, by Anne Delong, is also archived after Paul's talk, in the same (above) 'members only' YouTube link. Our usual general meeting location is the Main Branch of the Oshawa Library (basement auditorium). “Victory at Vimy” – Story of the birth of a nation What the world witnessed that Easter Monday morning – April 9, 1917 – was a near miracle of ingenuity, co-operation and courage among volunteers of the Canadian Corps. That day, 80,000 of them – fighting for the first time as a national army – swarmed up that strategic ridge in north-central France and in a matter of hours accomplished what no Allied army had, in nearly three years of blood-letting in Europe. They seized Vimy from an entrenched German army. 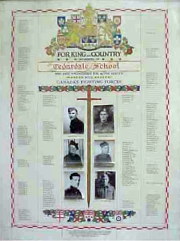 Some say those young citizen soldiers also breathed life into a fledgling nation – Canada. 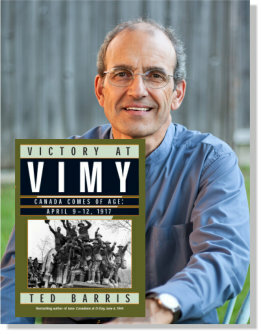 In a talk/visual presentation, based on his book Victory At Vimy: Canada Comes of Age, April 9 – 12, 1917 Ted Barris reconstructs the blow-by-blow moments of that historic four-day operation, that some say changed the momentum of the war. It put Allied troops in control of the strategic Vimy heights for good. For the first time, it sent the most powerful army in Europe into full retreat. It also firmly established the four Canadian Infantry Divisions as the most effective fighting force on the Western Front. Mini-talk: Two of our members bring mementos and memories of the Vimy Memorial opening in 1936. 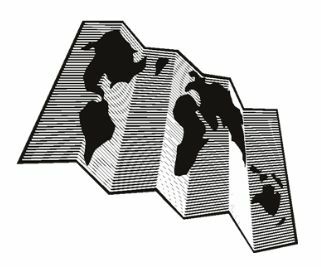 James Thomson - Using Maps in Genealogy - Maps, both print maps and digital maps,are an essential tool for family history research. James discussed theuse of such maps, and where to find them. James provided handouts to those in attendance, now posted in the members only area. 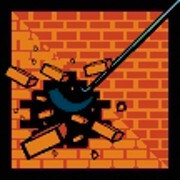 Overcoming Brick Walls - strategies and anecdotes for overcoming research dead-ends - Mini-talk: Anne Delong - Backing up your files: - strategies. If, during your research, you have come across a particularly frustrating dead-end, it would be most helpful if you send a brief description to our experts, well before the January 3rd meeting (at least by December 30), so they can prepare a concise response. Seven members of the audience stepped up to present tips. This was our Palooza Tips and Elections meeting, with a variety of contributions: - Scotland tips, DNA tips, Old photo tip, UK Map tip, Ahnentafel tip, Frustrating surnames tip. 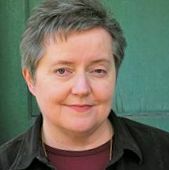 The 2009 revised edition of Carolyn's book, previewable here, contains many Paletine surnames, including those who settled in Durham townships. 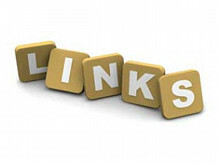 Roger Shier has included many useful resources here. Both have toured our local area during research outings. Our September speaker, Christine Ferguson, (Oshawa Family History Center Director of The Church of Jesus Christ of Latter Day Saints) reintroduced our members to the services available both online and at their facility, along with some major innovations. A complete printed resource package was offered to attendees. 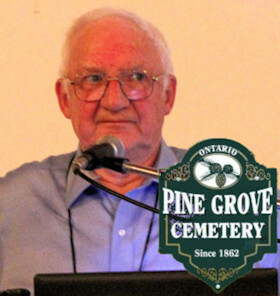 Well-known author and historian Paul Arculus, from Port Perry, regaled us with stories about notable and famous people buried in the Pine Grove Cemetery, in Prince Albert. Paul, a researcher with a talent for finding the best 'human interest' elements in our local histories, offered three of his books for sale. See a newspaper review of the Pine Grove Cemetery book - here. Paul will conduct a free 'walk and talk' through the cemetery on July 3, 2016, from 2-5 p.m.
Our meetings are generally streamed on YouTube, starting at 7:30 p.m. (https://youtu.be/TF7fIAZUhWQ). 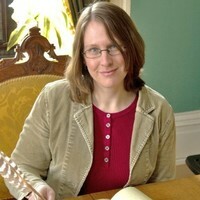 Sher is a local author and researcher with wide ranging interests, including overseas genealogy in Devon and Cornwall. 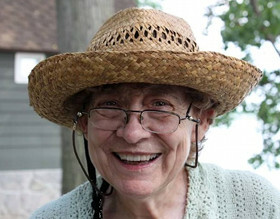 She is a regular presenter at the Toronto Cornish Association, and presented at the International Gathering of Cornish Cousins in Milwaukee in 2014 (a biennial event). 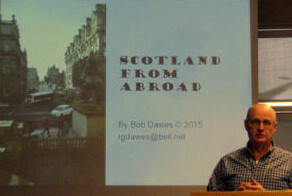 Bob will describe his methods for discovering Scottish ancestors, using online resources, some of which require payment, but many of which do not. He is shown here during his talk at the Quinte Branch OGS. Our meetings are generally streamed on YouTube, starting at 7:30 p.m. (https://youtu.be/TF7fIAZUhWQ). The presentation is archived and editted here. Our meetings are generally streamed on YouTube, starting at 7:30 p.m. (https://youtu.be/TF7fIAZUhWQ). For this meeting we will stream just the business and announcements portion. A slightly edited video of the February 2, 2016 General Meeting is now online. A DNA SIG (DNA Special Interest Group) , within our branch, had a first meeting on January 20, 2016, at the Branch Office (Oshawa Airport - south entrance). All furture meetings will be on the 3rd Wedesday of each month. Searching for family history becomes frustrating if you can't locate an essential record, or the records may be from another country (in another language), or a person's maiden name may elude you. Our moderators (and the audience at large) will provide advice, relate personal anecdotes, and point attendees in the right direction to resolve such dilemmas. Our usual general meeting location is the Main Branch of the Oshawa Library (basement auditorium). This meeting will include our annual round of voting for - Chair, Vice Chair, Treasurer, and Recording Secretary. 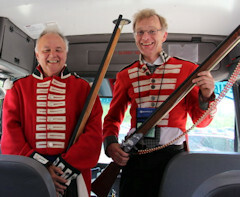 In this photo, having commandeered the 2013 tour bus; they are bound for adventure in various Durham locations. The Bible Christian Connexion and their Early Female Itinerant Preachers -YouTube Stream Recorded. Timelines are very useful ways of visualizing data. Timelines give you an order of and context for events, or to show what kinds of events were happening around your ancestors. 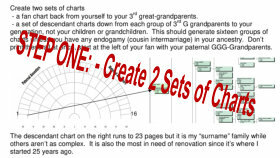 Using Excel spreadsheets (to record and calculate), this webinar will show how to solve different types of genealogical problems by using timelines. 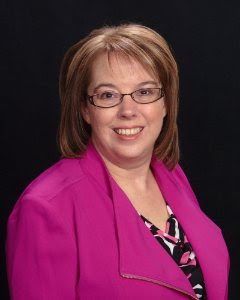 Beth Foulk maintains a website, Genealogy Decoded . The streaming link for this event has been archived, or view the main talk, without the follow-up Q&A or Swabbing Session, on YouTube. Dr. Maurice Gleeson - Supercharging Your Genealogy with DNA - DNA testing is really easy to do, costs about $125 Canadian dollars, and is helping family history researchers break through Brick Walls that they never thought would come down. 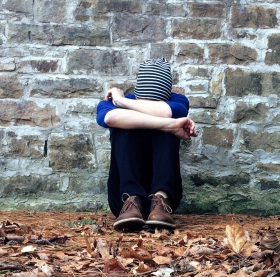 The technology behind DNA testing has been given a real boost by the Adoption Community who have developed tools and methodologies to facilitate the use of DNA to reconnect adoptees with their birth families. 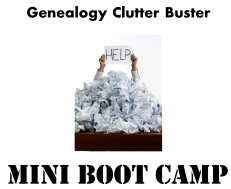 These same technologies have proven to be of real benefit to ordinary everyday genealogists too. Maurice will explain how DNA testing (and autosomal DNA in particular) can help you connect with genetic cousins and solve your own family mysteries. He will also explain how to focus the attack on your Brick Walls by testing several targeted family members. He will illustrate his talk with real life examples, including an adoption success story from his own family. 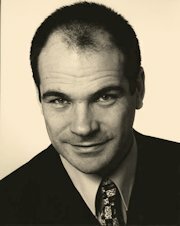 Dr Maurice Gleeson is a psychiatrist, pharmaceutical physician, some time actor, and genetic genealogy convert. 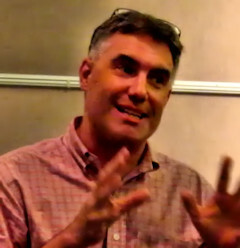 He runs several DNA projects at FamilyTreeDNA, has several blogs, and has a YouTube channel devoted to videos on genetic genealogy with the aim of making the subject understandable and accessible to the widest audience possible. He was born and grew up in Dublin, is based in London (UK), and lectures on genetic genealogy worldwide. 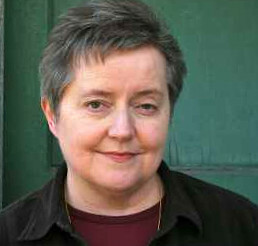 Jane has placed the notes from her presentation at the above location on her website. Click the link. 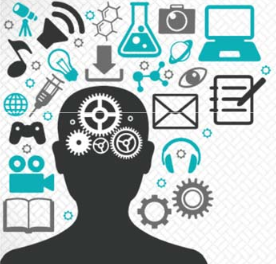 Free Websites: where to find them and how to use them. Stacey Goddard has post a descriptive list here, and on our Facebook Group. http://www.englandsimmigrants.com/ and https://www.gengophers.com/ and http://www.stevemorse.org/ and http://www.alivingpast.ca/ and http://bibnum2.banq.qc.ca/bna/lovell/ and http://www.ukbmd.org.uk/online_parish_clerk and http://www.goodreads.com/ and https://www.kirkusreviews.com/ and https://books.google.com/ and http://www.lovell.ca/en/directories.html and http://image.durham.ca/yourDurhamMap/ and http://www.ourroots.ca/ Sites with tricky navigation will be demonstrated live. 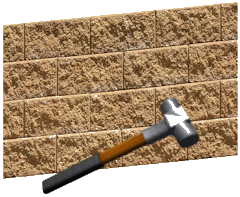 Mini-talk: Graham Family - This is a Brick Wall Follow-up created by Stephen Wood and presented by Nancy Trimble. 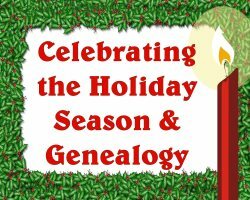 Celebrating the Holiday Season and Genealogy! Members were invited share genealogy 'ah-ha's. Members brought festive snacks to share. An extended break ensured an opportunity to chat and enjoy the seasonal treats - coffee, tea and cider provided. 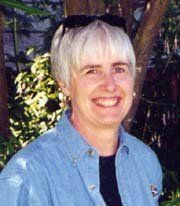 Ruth Burkholder - Researching Hudson Bay Company Records Extensive hand written records are stored in both government and company archives. They are some of the earliest documents recording native peoples and overseas immigrants, particularly those from Scotland. Hudson Bay Company ...is it just a chain of stores? NO ... there is much history in this company which has been in continuous operation for over 344 years. Started by 2 Frenchmen in 1670 under an English Royal Charter, it is owned by an American Equity firm ... truly a multinational history of a multifacted entity. There are some interesting stories and interesting records to be found regarding this Canadian iconic retailer. Ruth was unable to present; she will reschedule for March in the New Year. 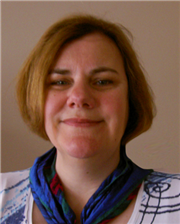 Jane MacNamara - Inheritance in Ontario: Estate Files and Beyond - Jane reviewed material in her book - Inheritance in Ontario: Wills and Other Records for Family Historians. 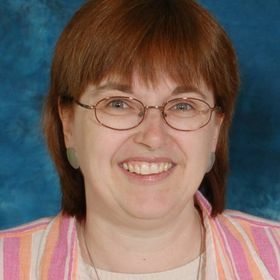 In her own words: "Ontario researchers looking for records of inheritance usually stop once they've found the estate file. True, it is the richest single source, but the court register, minutes, and other documents that track the estate's progress through the court can add valuable family history clues and help tell the whole story. The presentation will review how to find an estate file and how it can lead to other sources both inside and outside the court system." Also, learn about Jane and what she's been up to lately, from her blog Where the Story Takes Me. 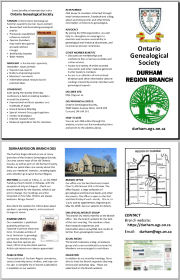 The above link leads to a compilation of monthly meetings of the Duraham Region Branch of the Ontario Genealogical Society for the years 2008 and 2009. Scroll below for a summary of our 2010 meetings. Thank You for visiting - the Durham Region Branch OGS.